Random - So Mexican | The Mexican Pan Dulce of the Web! 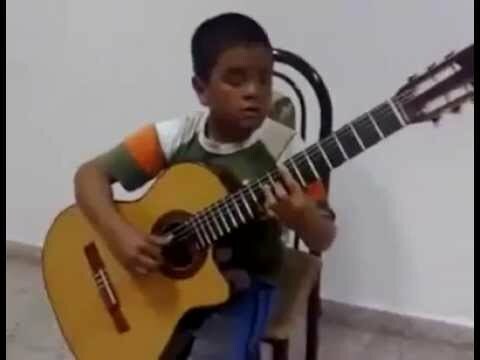 10 Year old Kid plays Titanic Theme on guitar, amazing talent! Who's hotter and a better actor? Fernando Colunga, or William Levy? Leave your comments below. You know you're So Mexican when the boss doesn't provide chairs for the work crew, so you come up with your own creative ideas for break time! Momma didn't raise us to be wimps and complainers! You know you're Mexican if your wife/mom made you some taquitos de frijoles con huevos and wrapped them in aluminum foil, then at lunch time you go out to the parking lot, turn on your car and put your aluminum foil lunch on the engine to warm it up. Cuz that's how we roll! Proof that Michael Jackson may have been inspired by a Mexican to create his most famous 'MoonWalk' dance move. The Mexican actors name is Adalberto Martinez 'Resortes.' You be the judge of it. The King of Pop might be gone, but leave it to us Mexicans to revive him in the Cantinas of Acapulco, Mexico. Checkout how this Mariachi band puts a special Mexican twist to Michael Jackson's mega hit "Beat It." When you're getting ready for the soccer game and all your cousins are visiting from Mexico. Believe me, the party won't end early.